I am rich! In friendship. Over my life I have made some really special friends and what really makes me rich is that I have kept these friends. Through the teenage years, the turbulent twenties, marriages, separations, children, careers and a move halfway across the world my friendships have survived. I am really blessed because I am still making friends. A big shout out and a thank you to communication platforms like Skype and Facebook which make it easy to bridge the gap. This is really big. Give of yourself, give of your time, and give from your heart. On my birthday I received a crazy parcel from South Africa. Lots and lots of little goodies, each with a memory or thought. It isn’t about value, but it is about thought. Looking around me now, my friends are reflected in little goodies all around my siting room. One of my special friends often brings me a tiny gift from a day out, and I do the same in return. It isn’t about money, it is about thought and making your friend feel special. Best case scenario, sitting face to face sharing a cup of tea and a piece of cake. This isn’t always possible, but in today’s world we have so many extra options open to us. Facebook, Skype, Email. Even the old fashioned letter or parcel. Keep in touch! Meaningful communication is soul food. In every friendship there is a time to talk and a time to listen. Listening is so very important. Sometimes all a friend needs is someone to listen, I know I do. Thoughts jumble around my brain and fall out. Knowing that they are falling onto ears that care means a huge amount. The first time I heard about the concept of empathy, the whole world made sense to me. The Greater Good defines empathy like this. The term “empathy” is used to describe a wide range of experiences. Emotion researchers generally define empathy as the ability to sense other people’s emotions, coupled with the ability to imagine what someone else might be thinking or feeling. Loyalty in friendship is essential. Listen, but don’t speak. and respect our friends feelings. Imagine yourself back on the playground and ‘stick-up’ for your friend. My friends that have stood by me, especially in the last couple of years have made a huge difference in how I have coped with live’s little curve balls. Really honesty is good all the time. You need to have people in your life who will tell you the truth, but with empathy and understanding. I rely on my friends to tell me if I am badly dressed or not seeing things straight. It isn’t always easy to hear, but if you are going to hear it let it be from a good friend. Such an important one. True friends are simply there, and especially when it counts. As you know i have some health issues, and I am so grateful to the friends who have simply been there for me. Listen to your friend cry. Be there to celebrate the good times with a sparkling glass of prosecco. Be there, to enourage them when they are climbing mountains. I can think of so many occassions when friends of mine have been there for me – those are moments that are treasures. From a simple meal shared to sharing of your thoughts and moments. Sharing is a true basic ingredient of friendship. Like sharing your cookie on the playground, for me it is all about giving of yourself. Now if you have two people sharing, you have such a cool friendship. Listen to your heart, be consistent and yes, you have to work at it. Schedule calls, send emails, set up tea dates. Our lives get so busy it is easy enough to let things slip. A true friend will always be there, even after ages of no communication, but it is so much better to be a good friend, and keep in touch. 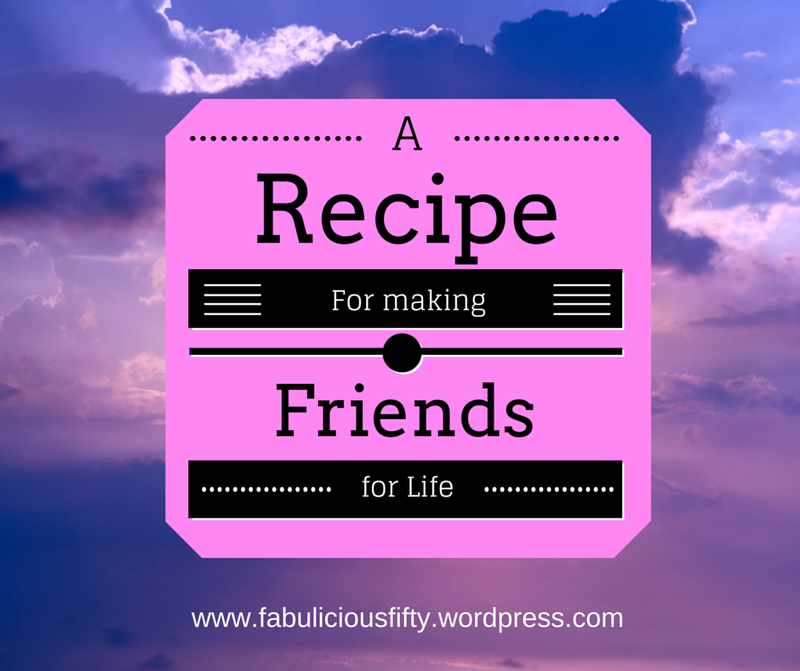 Friendship is so important so please feel free to share! « My Word of the Year Idea – Balance!